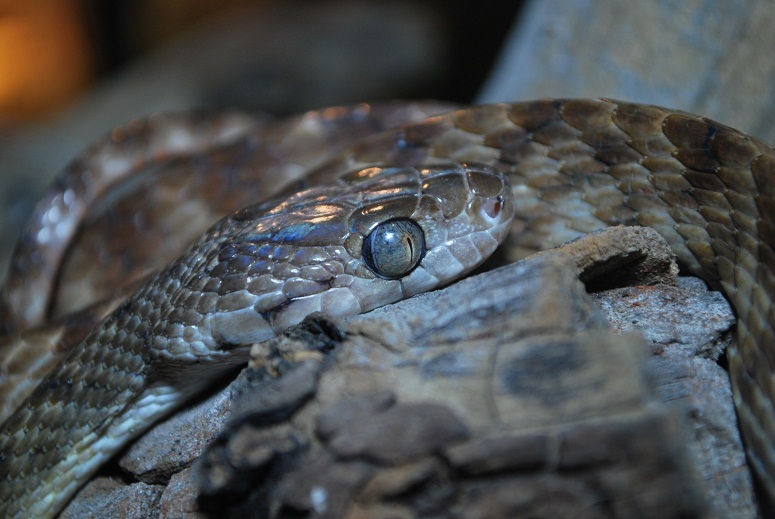 The Brown Tree Snake is a Colubrid a mildly venomous rear fanged snake growing to a total length of 2mtrs. They are arboreal and when young they eat small lizards at adults they like smallish mammals and birds. They have a rather large looking head compared to the neck thickness and cat like eyes.